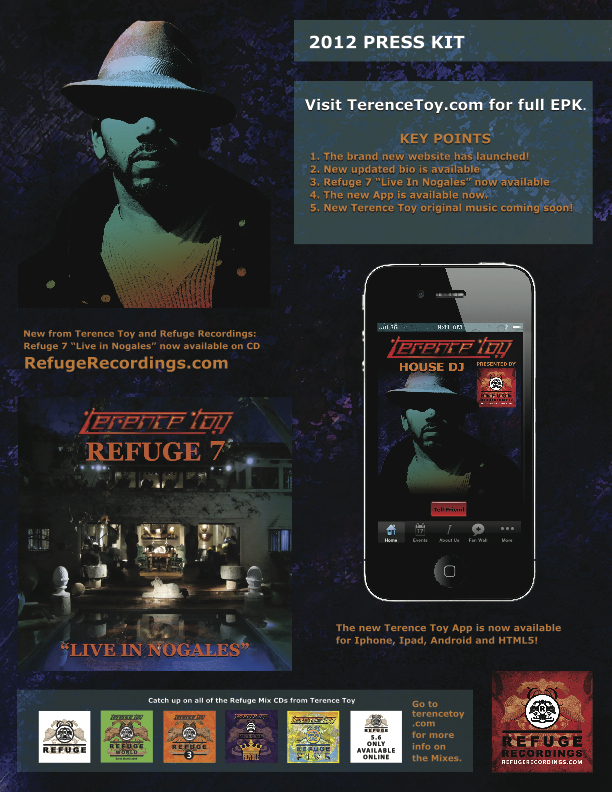 If would like to cover Terence in your magazine, web magazine or video site Please download the press kit. 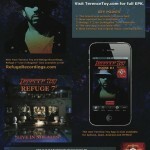 You can also access the online EPK page here. 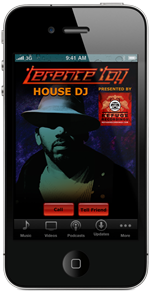 Terence Toy is one of the originators of the House sound in Los Angeles and with twenty years of DJing experience he definitely deserves that title. On this new CD “h2ouse” he puts together elements that make up the true deep House sound. mixing a potent blend of Tribal,Jazz,Dub and Vocals from some of the best producers worldwide, it flows from beginning to end. With so much experience behind the turntables this CD is sure to intrigue the most jaded deep House fan. If you’re not familiar with what Deep House is, imagine softer House with soulful vocals thrown in here or there. If that doesn’t explain it-then check out this CD, it will. 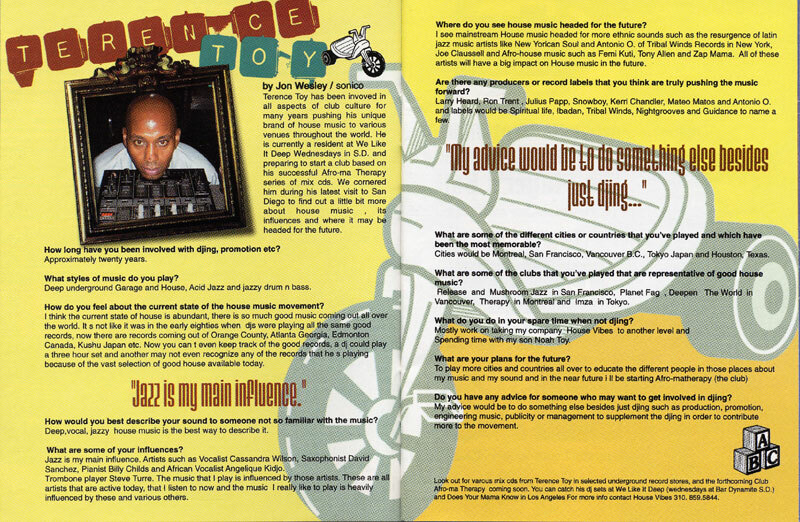 Interview with Terence Toy in one of the earliest issues of XLR8R magazine. Terence Toy wants to educate. A House DJ who entered into House through Jazz. Terence has a show on Los Angeles’ 92.3 The Beat from 1 to 2 A.M. Friday and Saturday nights. The show is called “The Underground Beat”, but Terence also thinks of it as The Education Beat. 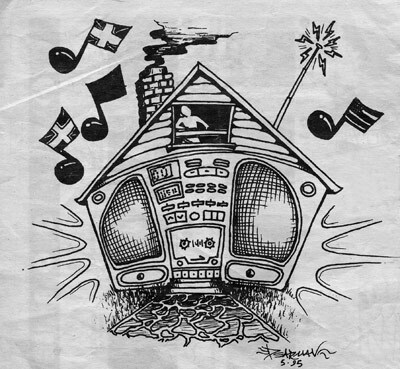 “The New Face Of Radio” he says, is House music. Maybe I’m dreaming….” A few years ago, Terence turned in a tape to another L.A. station, but found they were trying to steer him in a direction he was not interested in. “Basically, I was deviating from what I wanted to do. I wanted to be on radio to play House music. Michael Moore was in charge of a mix show at The Beat. He got hold of a tape and said ‘This is kind of what we want, but we want it more underground’, Terence laughs. “It’s been almost 2 years. It’s been a long journey”. 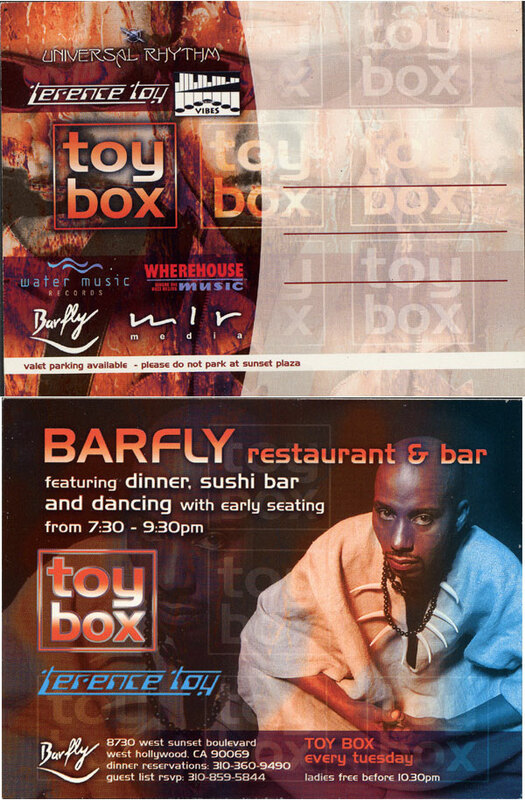 The show started out as a mix show; no talking about the music, the DJs or where the music was coming from, or even what House music is and how many different there are. He then added sweepers; saying what the music was but not explaining it. But the music directors liked his voice (that voice; it has soul) and asked him to go live. Time to get someone on the air to talk about the music who knew about the music. Terence feels that his responsibility is to teach, and that he has been given the opportunity to be a professor of House on the air. His instructors? Ten City? Fingers Inc.,Liz Torres, Adeva, robert Owens, Martha Wash. (Those of you who live in L.A., class begins at 1a.m. friday nights). “I’m in love with being on the radio and teaching people…. I want to be influential in making the kids run out and but that album”. And the response? Moments like when an L.A. gang member took the time to call into the station to tell Terence how he didn’t think he was going to like it, but the show opened his eyes to it. “I’ll never quit radio”. The direction of the show sounds promising. A future goal is to expand to 4 hours a night of House. And in the near future there are plans to feature guests such as Tony Humphries, Joi Cardwell and Keoki. There is also the possibility of a tribute to the late David Cole of C&C Music Factory “In celebration of his life and his music” as well as a feature on Detroit Techno. Keoki? detroit Techno? On a House show hosted by a man who thinks of himself as Terence “JOUSE” Toy, the jouse being a fusion of Jazz and House? House music was made to unite all walks of people together.”he says. It’s all House, and the best description of it is soul; even the way into Techno is soul. “In the next 3 years I see a change back to dance music on the airwaves…and the topic I’m hosting every night is ‘SOUL”. I feel very proud that men and women around the world would go as far as to promote House music illegally if it’s needed. By any means necessary”.